Your app's last version was released on April 06, 2018. It is important to regularly update your app. Best practices recommend to update your app every 4 to 6 weeks. This means fixing reported bugs, improving existing features, launching new features etc. Keep an eye on users' feedback. The next great features may already be asked by many users. Dai uno sguardo ai maggiori canali Italiani: Rai, Mediaset e SKY. 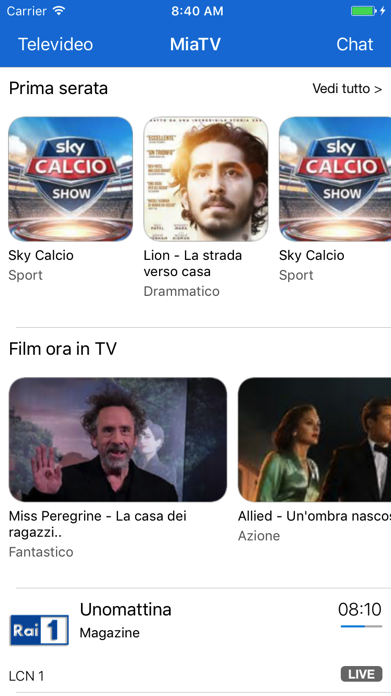 La migliore app della categoria ora è GRATIS! 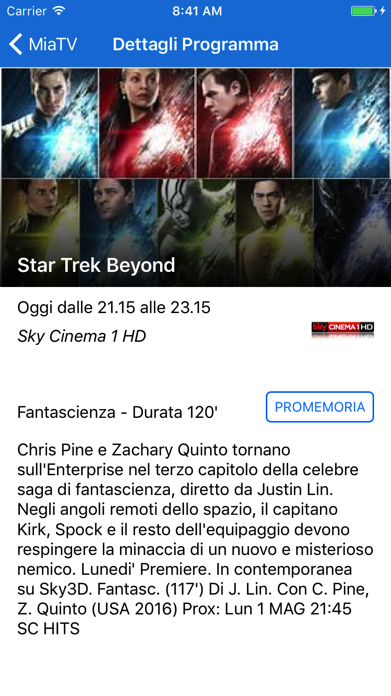 Guarda cosa c'è ora in TV o quello che ci sarà nei prossimi giorni!